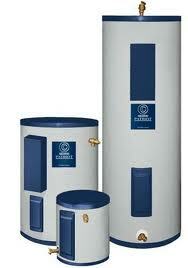 We repair all brands of hot water heaters, gas and electric. It’s not a happy morning the day the hot water goes cold. Most of the time a hot water heater can be repaired if it’s not heating at all or just running out of hot water too soon. Repairing an improperly operating water heater is a much lower expense as compared to replacing the water heater completely. Most plumbers will almost always replace the water heater, no matter what the problem is. We usually fix the water heater rather than replace it about 90% of the time. We fix all brands of hot water heaters, gas and electric the same day you call. Call (941) 366-8844 for fast, knowledgeable, and friendly water heater service.